40-year-old Nikolai Astrup from the party Høyre, has been appointed as the first ever Minister of IT in Norway. IKT-Norge, the interest group of the Norwegian IT-branch, is pleased with the appointment. – The government should have a Minister for digitization in order to succeed in technology projects, CEO in IKR-Norge says Heidi Austlid. JP/Politikens Hus and the editor in chief at Politiken, Christian Jensen, has been fined 100.000 Danish Kr and 50.000 Danish Kr. for publishing the book “Syv år for PET”, in October 2016. The fine will not be appealed. The conversion to a new subscriber system has been expensive for Bonniers magazine division Magazines & Brands, says Medievärlden. The conversion which was done in 2018 means that the company has lost data about 80.000 subscribers. The company has started reestablishing the data. Call for Entries: Compete with your best designs of 2018! 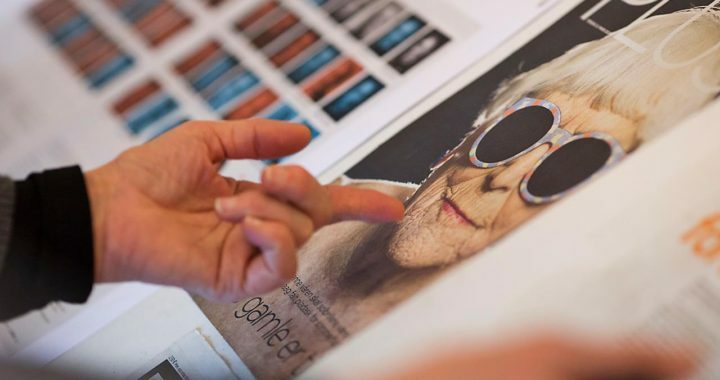 The Design Competition juries for Print and Digital will both meet in Helsinki, Finland on March 3–6 2019. Helsingin Sanomat will be hosting the jury meeting for the print competition and Nitor Digital Engineering will be hosting the digital competition. The competition is for work published in 2018. Fill out the Entry Form for the competition. For physical pages: Fill out the Entry form for Print and follow the instructions in the pdf. For digital entries: Fill out one Entry form for Digital per entry. Pay the competition fee mentioned in your entry form. Additional Bank information. Keep your fingers crossed. The judges might contact you with questions about the entries during jury week. Entries in the print-competition may now be submitted either as tear sheets or printouts. Entries in the print competition will still be judged in person, on tables, as in the previous years, but outlets may choose which format to submit. Printouts must be at a size that is at least 75 percent of the size the entry ran. Printouts must run in the color state (CMYK or black-and-white) that the entry printed. Publications entering printouts should keep PDFs of their entries available through April, in case they are needed by the competition for documentation purposes. Tear sheets are accepted in the same manner as in previous years. Outlets wishing to enter the work exactly as it printed remain encouraged to do so. Entries for the print competition must be at SNDS no later than Wednesday February 20, 2019. The front page of a whole website or the landing page of a section, a theme, a service or an event. Only one page is judged. Non-planned coverage and/or Breaking news. Please add screenshots from the time the story was live if needed. Generic layout or special template design for articles. Evaluated on use of elements, photography, typography, graphics, and ads. The specific article itself is not the main focus in this category, however, the exceptional symbiosis of content and template is taken into account. Planned coverage of subjects or stories, long form articles, series of articles, themes etc. Use of digital possibilities/features, responsiveness or special attention to the digital reader’s capabilities. Data projects can be anything from infographics to database driven journalism in articles or themes. For this category, please bear in mind that photo style, video graphics, editing or player is being evaluated, not the content of the video. This category takes the change of a website or part of a website into account. Please upload screenshots of before and after and describe briefly the main focus areas you wanted to improve with the redesign. Services or responsive web applications published by media companies. Please describe the main user group if needed. Innovative digital solutions in regards to business, design, development or editorial needs. Clever digital marketing of editorial initiatives to the users. Mobile applications published by media companies. Please enter a link to the application store or the application’s landing page. The judges may or may not award prizes in every category. The judges can choose to re-arrange submitted entries into other categories as they see fit, and if all judges agree upon this. The digital publications will be evaluated by a multi-national jury specialized in digital publishing. This jury consists of six members appointed by Mediebedrifternes Landsforening (Norway), Sanomalehtien Liitto/Tidningarnas Förbund (Finland) and SNDS. The competition is open to any Nordic and Baltic media company. The jury will award Gold, Silver, and Bronze diplomas. The “Scandinavia’s Best Designed Digital Media” award will be given to the best overall designed entry in the competition. In addition, the jury may award a “Best Detail Award” for a particularly well-made design detail, or a “Best Interaction Award” for exceptional UX. When the jury has completed the evaluation process, winning media will be informed that they have been granted an award, but not which one. At this point, we will also ask winners to send information about the people who should be credited for the award. If you want to add before/after/during screenshots, you can do so by uploading files in the following formats: jpg, png, gif, mp4, mov, pdf, txt, doc, ppt. Submit necessary login information and passwords valid during the period 1 February–1 October 2019. The entry fee shall be paid for each entry submitted for evaluation. Please use one entry form per entry. Entries for the digital competition must be entered no later than February 24, 2019. Best of luck in this year’s competition! Chairman, Competition Committee and Print. 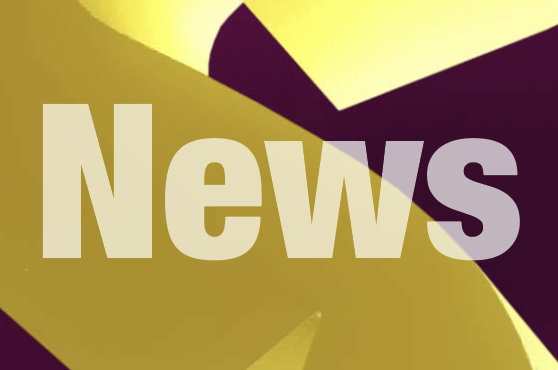 The award show for the winners of Best News Design Scandinavia 2018 is moving from fall to spring this year. It means that the winners will be announced in April or May 2019 instead of October. – The board of SNDS has decided to move the award show. We find that the time between the jury evaluation of the entries and the publication of the winners in both the print and the digital competition is too long, Flemming Hvidtfeldt, chairman of the competition, says. – We hope that the participants in the competition will approve the decision and that the competition will benefit from the decision, Flemming Hvidtfeldt says. SNDS, Society for News Design Scandinavia, har præmieret den bedste formgivning af redaktionelt indhold digitalt og på tryk. KØBENHAVN: Norske mediehuse blev de helt store vindere i årets “Best of News Design Scandinavia”, mens danske Zetland sikrede sig prisen som Best of Show i den digitale konkurrence og finske Helsingin Sanomat vandt Best of Show i print-konkurrencen. 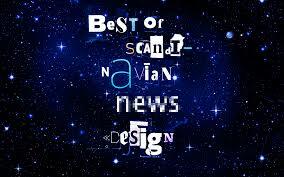 Prisen som “Best Designed Newspaper Scandinavia” gik til norske VG. Danske Politiken vandt to guldmedaljer i printkonkurrencen, mens finske Helsinkin Sanomat også vandt guld. I den digitale konkurrence vandt norske NRK.no, faktisk.no, Adressa.no og vg.no hver guld. Det samme gjorde finske hs.fi samt danske Zetland. Mediernes kreative formgivere scorede de attraktive priser i den årlige konkurrence arrangeret af SNDS, Society for News Design Scandinavia,hvor vinderne onsdag aften blev hædret ved en prisoverrækkelse i København..
– Godt design er en af nøglerne til at tiltrække nye læsere – og kunder – i en verden, hvor læsere og seere bliver stadig mere kritiske med, hvordan de bruger deres tid, sagde formanden for SNDS, Flemming Hvidtfeldt, Danmark ved præmieoverrækkelsen. Formanden for den digitale jury, Björn Heselius siger, at det mere end nogensinde tidligere er vigtigt for mediehusene at have fokus på kvaliteten i formgivningen af digitale nyheder: Og alt tyder på, at mediehusene ofrer flere ressourcer herpå. – Den nordiska digitala nyhetsdesignen har hittat sin form och medierna har även hittat sin unika och tydliga röst online. Det är också tydligt att man lyft blicken från att enbart göra estetiskt tilltalande design, till att allt oftare skapa engagerande berättelser och tjänster utgående från användarnas behov. På det sättet har man börjat skapa förutsättningar för nya digitala intäkter. Flere end 70 mediehuse fra de fire nordiske lande og Baltikum deltog i konkurrencerne. Finally, the winners of Best of News Design Scandinavia are published. Below you’ll find all the winners in both the print competition and the digital competition. As for now we are only publishing the winners. Not what prize they won. For that you’ll have to wait a little bit longer. Exactly until the prize ceremony at the big Award Dinner which will take place September 26th in Copenhagen. The Award Dinner is held in conjunction med the conference held by Design Matters. SNDS has – as we did last year – partnered up with Design Matters. We only have a limited number of seats for the Award Dinner so hurry up if you want to participate. Helsingin Sanomat, frontpages, FI, 100 Tänään me juhlimme! Aamulehti, frontpages, FI, Paljon onnea! Aamulehti, feature, FI, Kyky unelmoida voi …. Etelä-Suomen Sanomat, sektionsfronts, FI, Valot pois! Helsingin Sanomat, visual communication, FI, Latua! Bergens Tidende, magazines, NO, Dei forlot heimlandet….